Minipups - Illusive Design Inc.
Minipups is one of the most popular sellers of tiny dogs. We have redesigned their website recently to give it a more boutique and vibrant look. Illusive Design has also done Search Engine Optimization and Internet Marketing for a period of 3 months within which time the website saw 300% increase in search traffic and over 100% increase in real leads. 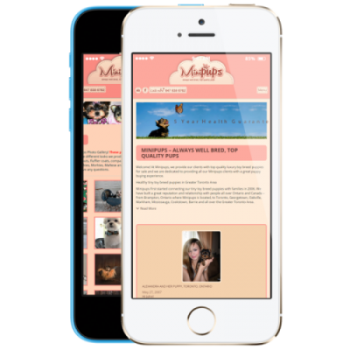 Minipups offers well bred, top quality pups through a WordPress custom website design that was built as a revamp of their existing website. This new design came with everything needed to launch a thorough digital marketing campaign that saw the company’s numbers climb significantly over a three month period. The design code was paired with a cutting-edge toolbox to launch the Minipups website faster and with more value than they knew possible. The Minipups website design was built with a fully responsive navigation system optimized for their target audience. The WordPress design was filled with high quality content that implemented a strategy to ultimately increase Minipups visibility. We took the business’ existing approach to online marketing and, for them, we created a seamless experience that integrated the latest in digital marketing techniques in order to increase the website’s search traffic by over 300%. Minipups features informative content on related subject matter that keeps their audience entertained and keyed into their website. This written content was paired with galleries of pups that allowed a user to browse through the pups they wanted and get the information they needed in real time. Through structured processes, the emphasis on content paid off and Minipups’ customer base quickly expanded at an unparalleled rate of growth. The site prominently featured blog pages, articles, and search engine optimized content which allowed for easy retrievability in the Google search engine. Throughout a three month period, we launched a digital marketing campaign that allocated the budget of Minipups to where it was deemed most effective. This maximized the effectiveness of their strategies. This created an environment through which the Minipups site could be easily found. 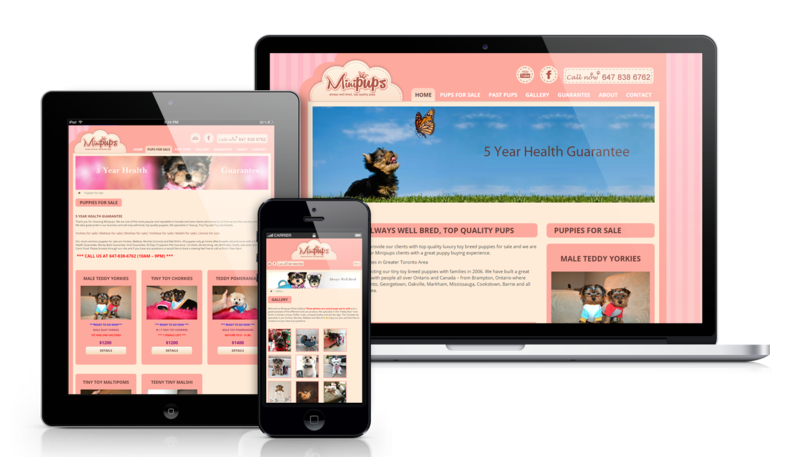 Illusive Design’s open, honest, and authentic approach to website design and internet marketing resulted in a 300% increase in web traffic for the Minipups brand. We were able to not only build ways in which the site could be found by members of their target audience but we were able to keep them on the site through an effective aesthetic approach that created a productive dialogue with this new customer base. This resulted in an increase of 100% plus in real leads for the company.